everyone just went ♡(˃͈ દ ˂͈ ༶ ) at their first bite…. try it!!! thanks Nami! 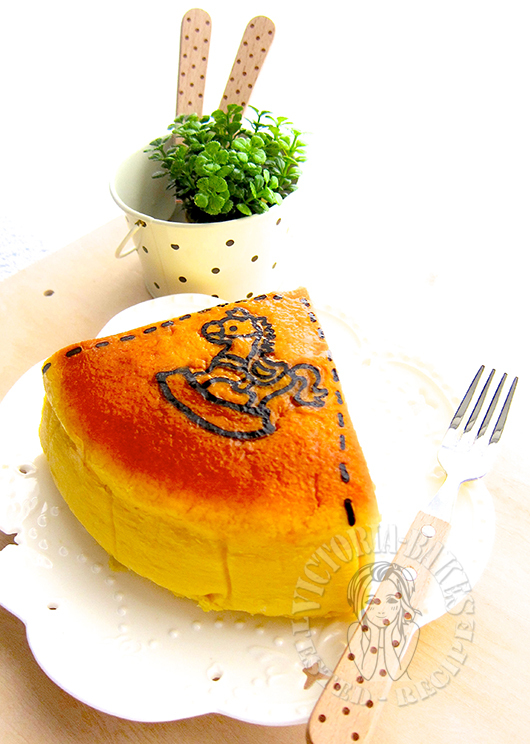 I am sure everyone will agree that Nami\’s cheesecake recipe is well received and with her tutorial pic, everyone can bake and cook. Oh…wish I can have a piece of this delicious cake now. So long did not bake a cheesecake, can I have a slice first? Love this pretty and yummy delicious cake. Always admiring your drawing skills 🙂 Very impressive! Beautiful cheesecake! 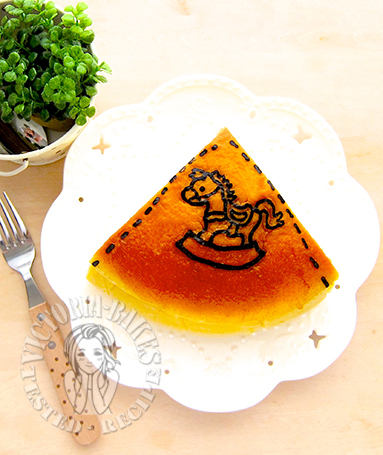 And I like that slice of painted cute horse! VB, this kind of cake has been in my list for a long time & recently I have asked my sifu to pass me some tips, thinking to make it, may be very soon, oh, I don\’t know, hehe. Better come to ask a slice from you first. Cousin, I am amazed and awed every time I see your beautiful and yummy works of art and impeccably well composed pictures! You are truly talented and very hardworking! If only we live closer so we can get to try all your yummy bakes! Love Japanese cheesecake! 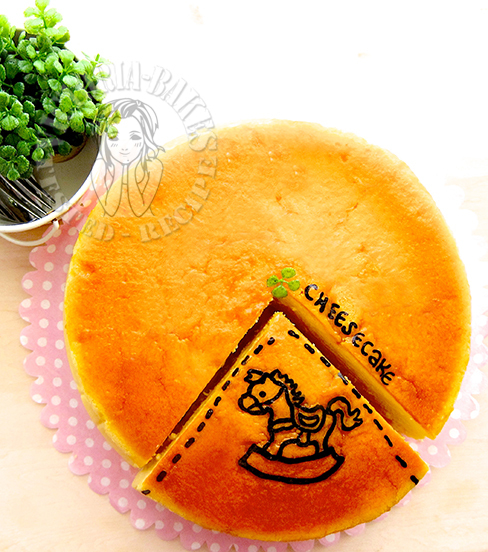 Your Japanese cheesecake looks so good and really like the picture of the rocking horse on top of it. Would make a good baby shower cake too! Going to dream of your cheesecake in bed! This cake looks so delicious and I can\’t wait to try making it myself! I was wondering, did you use a fan forced oven for the temperatures you used?